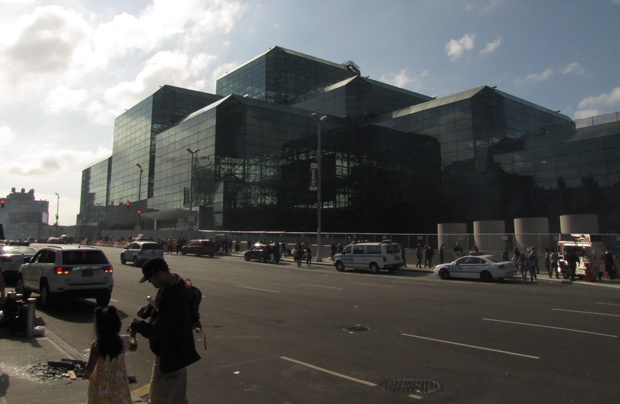 So the final day of NYCC arrived, and all the fun and joy of the event was already winding down by the time we had arrived this morning. 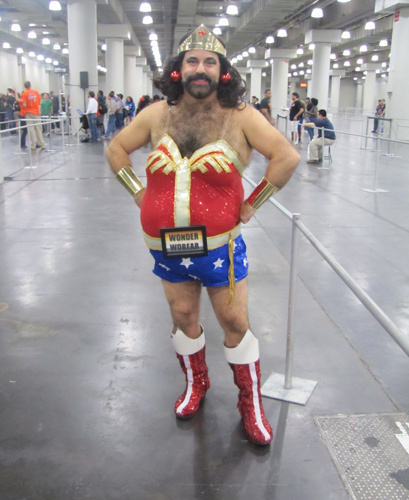 There were still plenty of cosplayers around, showing off their awesome and not –so-awesome costumes. As I browsed the halls looking for more interesting cosplay, I found out that Ankama, the developers behind Dofus and Wakfu, also had a showing at NYCC this year, but not to showcase a new video game title (which is a shame, since I would really like to hear some new details on their previously revealed title called “Slage” which is a full 3D diablo-style dungeon crawler.) Instead, they were here to showcase their recent Kickstarter funded board game called: “Krosmaster: Arena”. 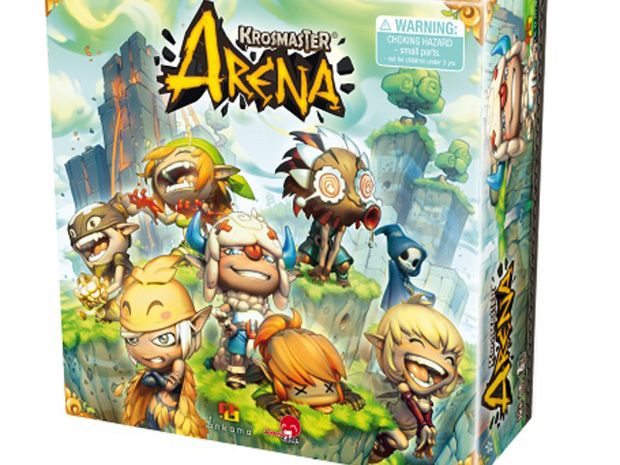 Krosmaster: Arena is a figured-based board game based on both the Dofus and Wakfu universes. Players will get to use colorful and detailed figurines on a grid-based map, along with all sorts of tokens and battle cards in order to battle against up to six opponents. To win, players must deplete their opponents’ “Gallons of Glory” (or GG for short) tokens through combat or by economical means. I decided to play a quick match of Krosmater and I must say that the game’s mechanics were actually very clever. It felt much like a mix between the tactical gameplay in both Dofus and Wakfu while throwing in some MOBA-style combat for good measure. They also had a very popular cosplayer named Toni Darling, who was dressed up in a signature Tofu bird outfit to help promote the game. 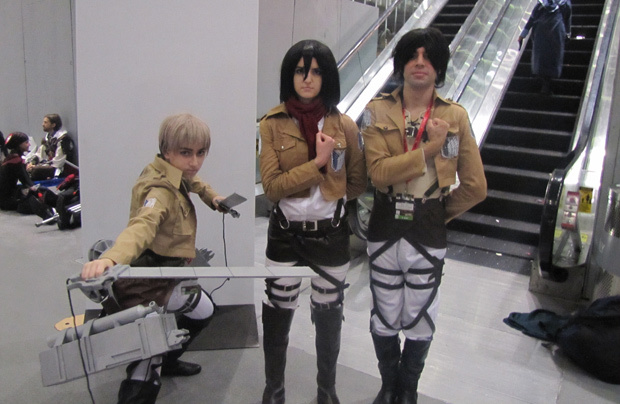 After that, I went back on the hunt for some more unique cosplayers. 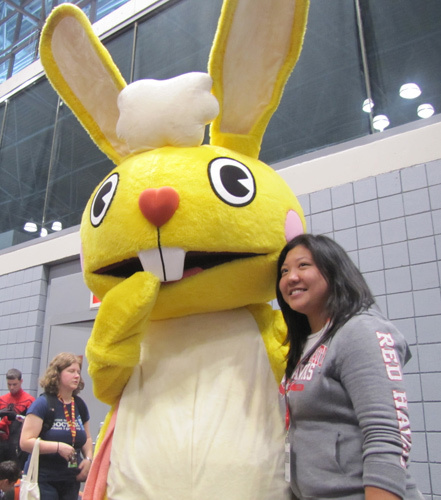 While on my search, my attention was then drawn towards the Ubisoft booth that I’ve been passing up quite frequently. 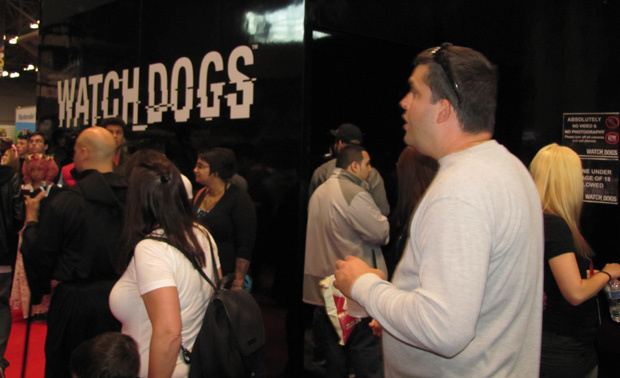 Over at the booth, they had a big, black room set up to showcase their upcoming open-world action-adventure title: Watch Dogs. At the entrance of the room, there was a sign that stated that no video cameras and no flash photography was allowed in the booth. 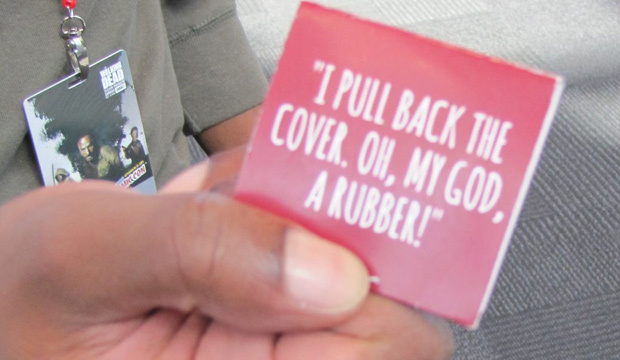 Apparently they didn’t want any leaked footage of the presentation inside to show up on YouTube, but after I entered the booth and sat through the presentation, I felt that all of the extra security measures weren’t really necessary. The demonstration in the booth was apparently just a recorded gameplay demonstration that was already shown back during PAX EAST 2013. It was a fairly short demo and it really didn’t showcase anything about the game that the public didn’t already know about. I’m not sure if I’m the only one that feels this way, but every time I see new footage for Watch Dogs, the game seems to get less and less impressive. Then again, my opinion probably isn’t too invalid, considering that Ubisoft has recently announced that the game will have its release date pushed back to spring of 2014. So the last thing I checked out before leaving the convention center was the Twitch.TV booth where they were showcasing live matches for another upcoming Double Helix title: Killer Instinct (2013). 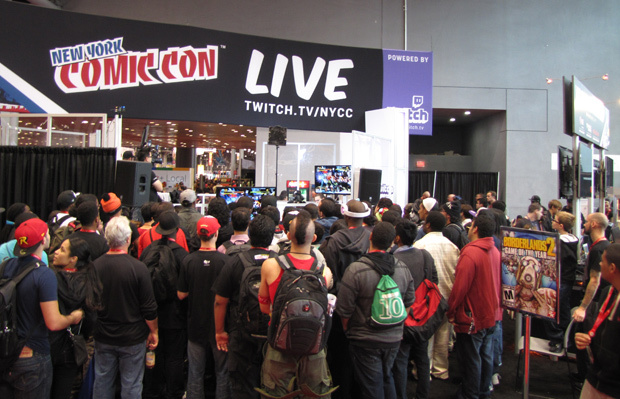 The hosts for the booth were picking spectators from the crowd to come up and try the game out, as well as have them compete to see who can win one of their daily prizes, including widescreen TVs and gaming cases. I wanted to be picked to play SO badly, not because I wanted to win a prize, but because I really wanted to give the new Killer Instinct game a try. Sadly, I never got selected to participate. Still, just being able to watch matches for the game in full 60 frames-per-second was excellent. I would have to say that my reaction to the game is the exact opposite of my reaction to Watch Dogs, as the game seems to look better and better every time I come across it. 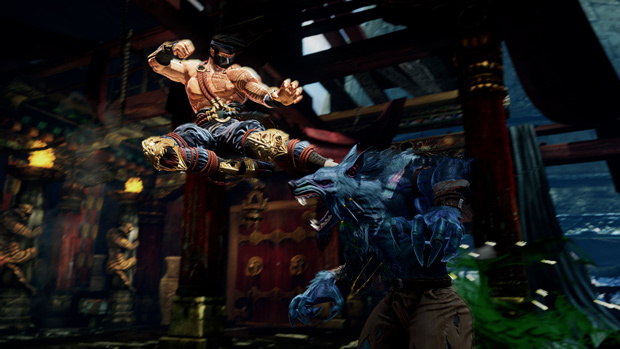 I really hope to see the final outcome for Killer Instinct, and perhaps Double Helix will be able to shake off the stigma they’ve obtained for releasing really bad licensed games over the years. 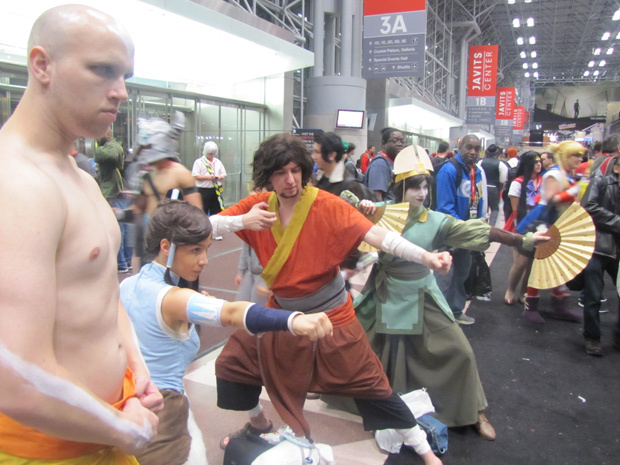 As I bring my NYCC 2013 entry to a close, one thing that I really feel the need to point out is that this year’s New York Comic-con wasn’t as spectacular as last year or the year before it, mainly because this was perhaps the first Comic-con in a long time that was (primarily) focused on comics and animation rather than comics, animation and entertainment, which makes plenty of sense, but would probably come off as a disappointment to those that attend these conventions for the spectacle of it all. There wasn’t many A or even B-list celebrates this year. Many of the entertainment booths were showcasing games or videos that have already been released to the public, and many of the panels were just so unappealing and uninteresting compared to last year. 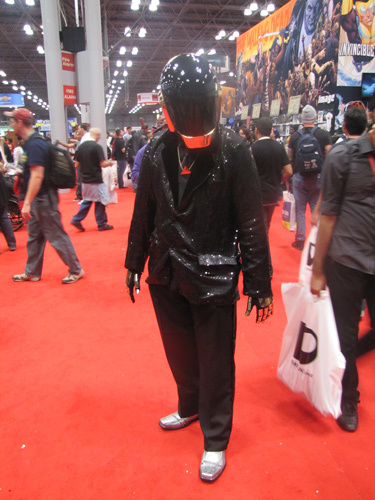 But overall, this year’s NYCC was a great experience. I would love to attend it again next year, but if I do, I’m planning to bring a much bigger press crew along for the ride. The first add-on for the turn-based, tactical co-op game, Shadowrun Chronicles, INFECTED! continues the Boston Lockdown story arc.